...and "Frigg-off" as-well! I know Leith Hill having visited several times whilst living in West Sussex during my twenties, it is a remarkable place, one would hardly credit that such exist in the Home Counties but they do (some might observe that in Britain ancient history is beneath your feet all the time -but I digress-). 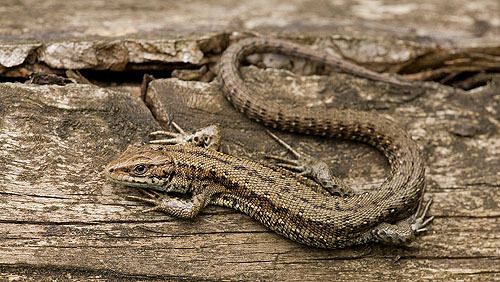 The hill has a tale as long as the reputed "Green Dragon" (you'll find both a pub and a school of that name on the slopes), the hill tops nearly 1000ft and is the highest point in Southern England, it is also the only place I've ever seen a wild lizard anywhere in Britain! Quote; "The hill's first notable role in history was as a battlefield in the ninth century struggle between Saxons and Danes. In 851AD the Danes planned a full scale invasion, after raiding the country regularly for many years. The Danes invaded up the Thames and burnt Canterbury and then London. The next target was Winchester, but on their march towards Winchester they met the army of Ethelwulf, father of Alfred the Great. Ethelwulf, it seems, took up a position on the slopes of Leith Hill - an ancient mass grave found in 1882 seems to point to this area as the sight of battle (Stories of the Surrey Hills published by the Surrey Society). Ethelwulf was able to use position on high ground to win the huge battle that followed. This battle ended the Danes immediate prospects of conquering the whole of Britain. 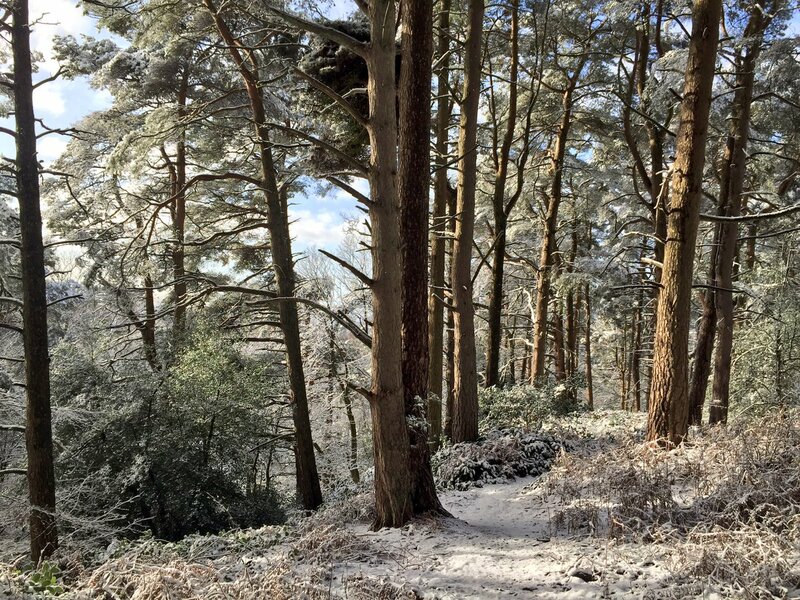 In later history Leith Hill was to become a symbol of peace. As the Industrial Revolution gathered pace in the eighteenth and nineteenth centuries, there was a romantic reaction against the new society. Wordsworth and Coleridge started idealising nature at the end of the eighteenth century, and this theme was soon taken up by Keats in the early nineteenth century. Now that nature was considered beautiful, people started taking trips to places where nature could be enjoyed. 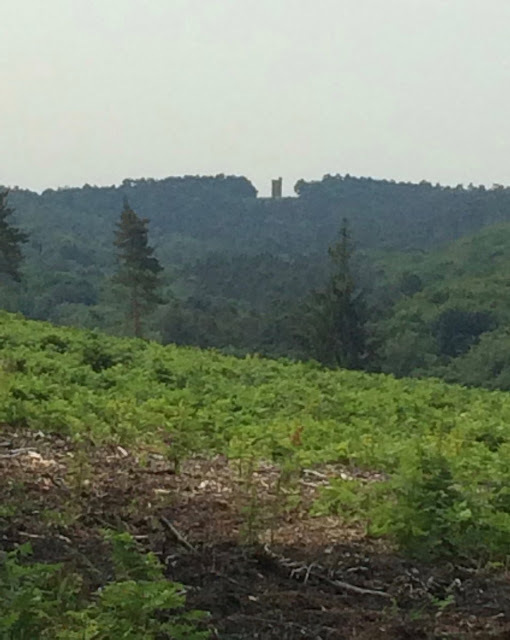 Leith Hill was a popular picnic spot for nineteenth century tourists. A tower, or "Prospect House" had been built here in 1766, by Richard Hull. From then on visitors started to climb the hill to see the tower and use the "prospect glasses" which Richard Hull had provided. 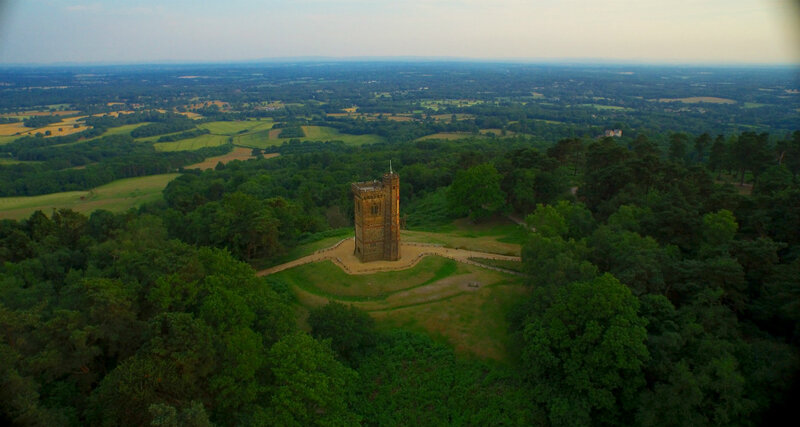 Leith Hill Tower was rebuilt in 1796, and restored in 1864. Fly o'er waste fens, and windy fields" Go to: http://www.infobritain.co.uk/Leith_Hill.htm For full article. Apparently the Norsemen had "adopted" (as is the way of empires when "faiths" conquer), a Well of Brygyd for Frigga and the clash also represents one of the last stands pantheistic paganism ever made on a British battlefield, it is said that the battle was unusual in its ferocity (were "bear-skin-wearers" -"Berserkers"-, involved? It is possible as this "sacred-elite" were oft associated with the worship of the Gods and the protection of their sites and customs). The battle was hardly however the site's; "first notable role in history" for as intimated there are legends and evidence of worship dating far back into the Bythonic past. Now however all the above is being brushed aside by the "money-grubbers" of fracking's debased currency, a more worthless undertaking of which it is difficult to conceive (at least The Twyford Cutting was designed to save lives -and has, on the roads-, although the methodology was faulted from the start), for there are no upsides to people or the planet, only the rich will ever benefit from the rake-offs and the subsidies that fracking provides and that merely temporarily. ..doesn't the horrible evidence of abuse that is "The-Scar-of-Twyford" carry any lessons? Temporary fixes may give a feeling of security for a while but that's the point, only long term planning based on the notion that it is better to create than destroy is capable of providing a legacy, stealing will leave a debt the very next generation (now), will be paying all their lives. The Optimus Prime of "Progress" was never wrong, but surely he asks; "what sort of "progress" do you need?" Quote; "Very few electors read manifestos, let alone debate the detail of them. That's a pity, as it might change the nature of the tired debates we see at every election. For this week's general election, the Conservative Party's manifesto outlines a sharp break in British planning and environmental policy of a scale not seen since the 1980s. Ostensibly their aim is to make 'fracking' require more exacting regulation. That sounds really great in theory. In practice it depends what your legal definition of 'fracking' is. In Britain, elections are probably the worst method by which we try to decide complex issues. For the last few months I've been working on the Conservatives failed fossil fuel policy for Talk Fracking – supporting their report, Whitehall's Fracking Science Failure. That centres on the Conservative's claim, repeated in their manifesto for this election, that fracking produces gas that is "cleaner than coal". During the election campaign, while some media have covered the 'permitted development' issue, nearly all have missed the nuances of 'definition' behind the policy – and thus its practical implications. For example, if government ministers systematically override local councils and regulators on fracking, imposing their will directly on the public, does making fracking permitted development really make a difference in the end? The results would be the same. First and foremost – this is an English problem. Scotland currently has a moratorium on unconventional oil and gas development. Wales has a bar in planning law, but can't actually control Whitehall's licensing powers." Go to: http://fraw.org.uk/mei/musings/2017/20170605-conservatives_planning_frackageddon.html For full article. How is it one asks oneself that those who call themselves "Conservative" should fail to conserve on such a regular basis? 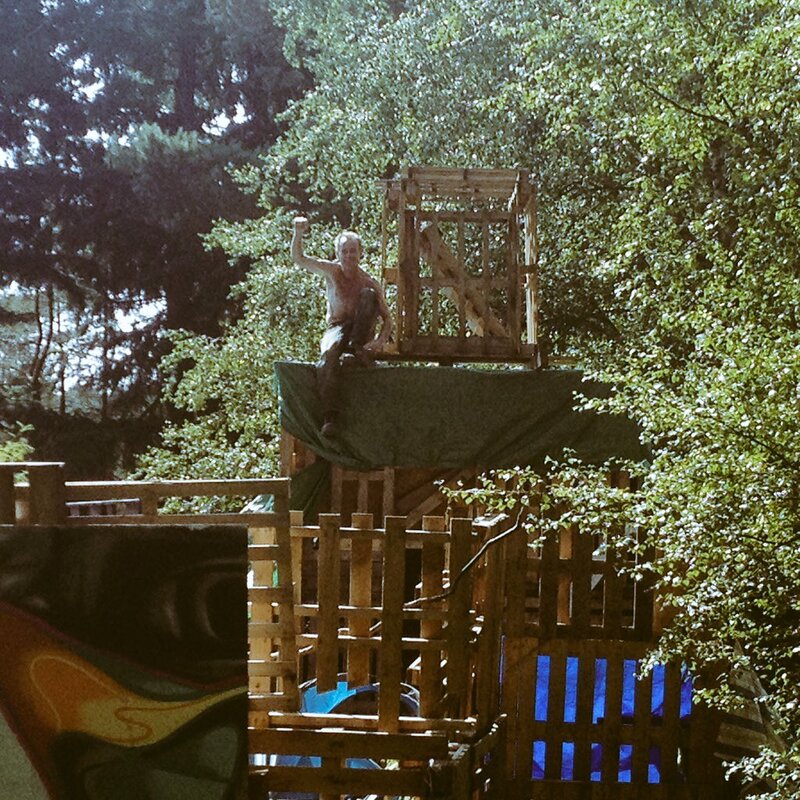 Comments (0) Oil protesters from the Leith Hill "protection camp" took to man made tunnels and tree houses as bailiffs arrived to evict them from the site. Bailiffs, officers from Surrey Police and a fifteen-person team from Specialist Group International - which is based in Dorking and specialises in safely removing people without injury - arrived at the camp on land at Bury Hill Wood at around 5am this morning (Wednesday, June 21). 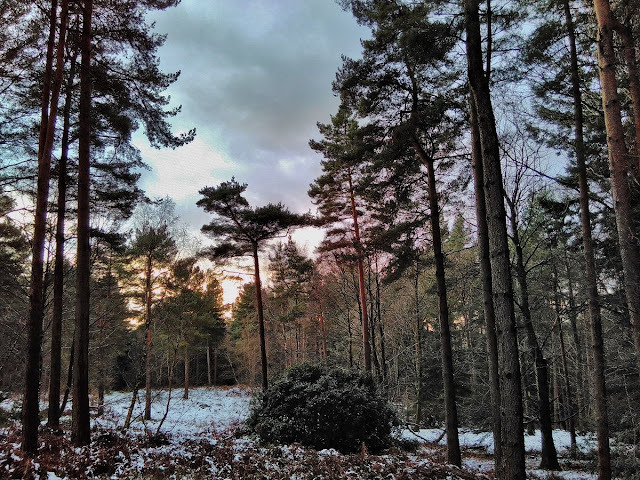 The site has been occupied by protesters since last October as part of their demonstrations against planned oil drilling in the Surrey Hills Area of Outstanding Natural Beauty (AONB). A spokeswoman for Specialist Group International confirmed the had a team on site attempting to remove protesters from the area but feared lives were at risk*." Go to: http://www.dorkingandleatherheadadvertiser.co.uk/oil-protestors-hide-in-tunnels-and-treehouses-to-avoid-being-evicted-from-leith-hill/story-30402390-detail/story.html For full article. *They can be, a friend of mine was run over whilst D-locked to the axle of a lorry during the Newbury area protests. Quote; "Freya and Frigga . . . one goddess or two? It's easy to get confused. Some authors claim that we get the name for the day Friday after the goddess Freya, others say it was named after Frigga. Because of frequent overlapping that occurs in their myths and symbols, some authorities believe they are just regional variations of a single goddess. Others insist that they are separate entities. All agree they were among the most ancient of the Norse deities. Together they represent the two aspects of the original Great Goddess with Freya serving as the maiden and Frigga the wife/mother aspect. As you will see below, their traits varied considerably." Go to: http://www.goddessgift.com/goddess-myths/frigga-freya-goddesses.htm For full article and links. 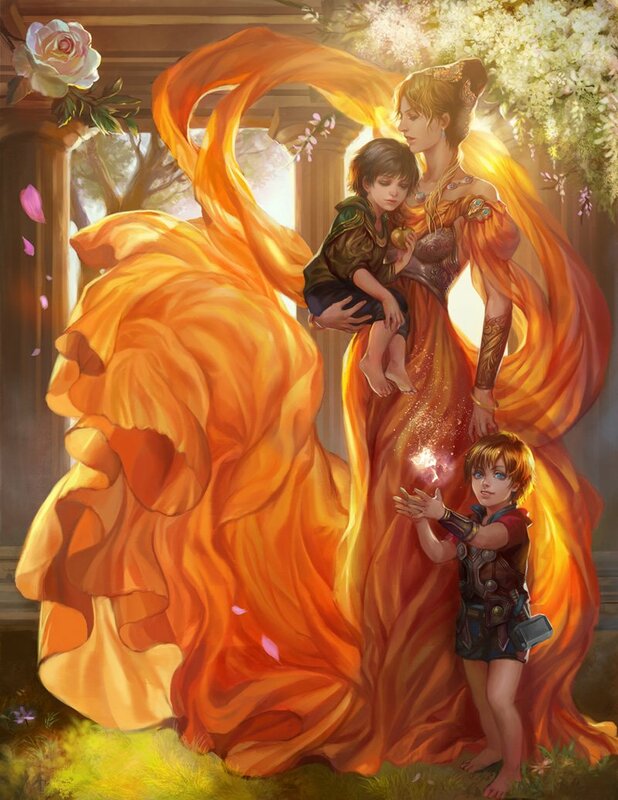 Quote; "Frigg (pronounced “FRIG;” Old Norse Frigg, “Beloved”), sometimes Anglicized as “Frigga,” is the highest-ranking of the Aesir goddesses. She’s the wife of Odin, the chief of the gods, and the mother of Baldur. ..."Like Freya, Frigg is depicted as a völva, a Viking Age practitioner of the form of Norse magic known as seidr. Seidr is concerned with discerning destiny and altering its course by re-weaving part of its web. This power could potentially be put to any use imaginable, and examples that cover virtually the entire range of the human condition can be found in Old Norse literature. In the Old Norse poem Lokasenna, after Loki slanders Frigg, Freya warns him that Frigg knows the destiny of all beings, implying that she also has the power to alter them if she so chooses. Frigg’s weaving activities are likely an allusion to this role as well. Freya owns falcon plumes that she and the other Aesir use for shapeshifting into that bird, and Frigg possesses her own set of falcon feathers that are used for the same purpose." Go to: http://norse-mythology.org/gods-and-creatures/the-aesir-gods-and-goddesses/frigg/ For full article.